5.8 Earthquake hits the Azores Islands. 5.6 Earthquake hits Minahasa, Sulawesi, Indonesia. 5.6 Earthquake hits Antigua and Barbuda region. 5.4 Earthquake hits Antigua and Barbuda region. 5.3 Earthquake hits southwestern Siberia, Russia. 5.1 Earthquake hits Atacama, Chile. 5.0 Earthquake hits the Metropolitata region, Chile. Tropical cyclone Zane, packing 100km/h winds, has formed off far north Queensland on the last day of the official cyclone season. The category-one system is predicted to hit the Queensland coast near Lockhart River on Cape York sometime tomorrow. 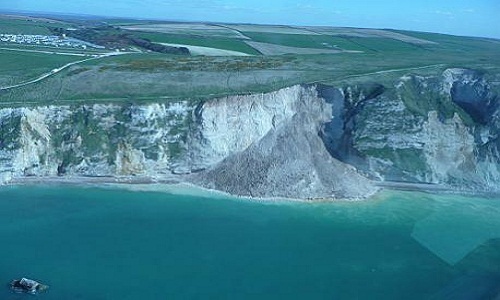 Landslip occurred at St Oswald’s Bay, east of Durdle Door, on the Dorset coast. Several landslides occurred earlier this month at nearby White Nothe. 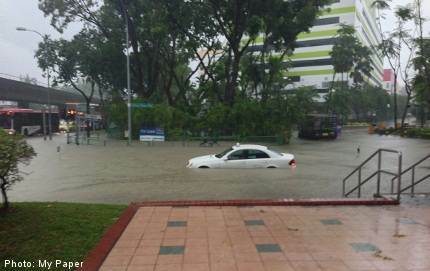 Heavy rainfall caused flooding in Wadis. 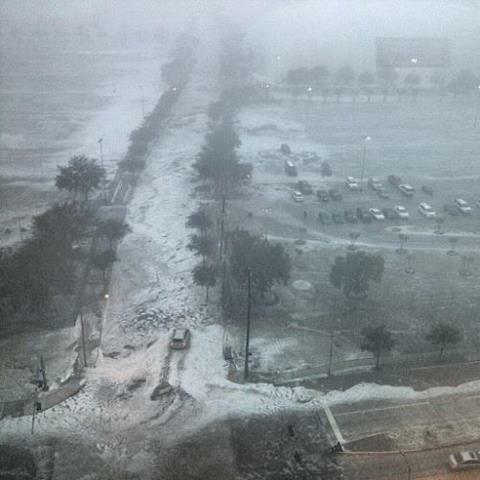 At least 30 people were rescued from Ibri, Oman. At least 320 people have had to be rescued in the last seven days. Lightning strikes have claimed two lives. 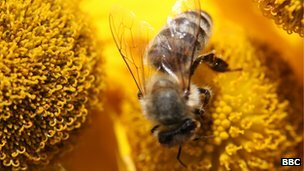 At least three others were injured. Power outages have also been reported in Ghubra and Al Khuwayr, Muscat. Heavy rainfall has caused a landslide in North Carolina near the Tennessee border. The landslide also hit homes on Robert’s Hill Road just outside Marshall. 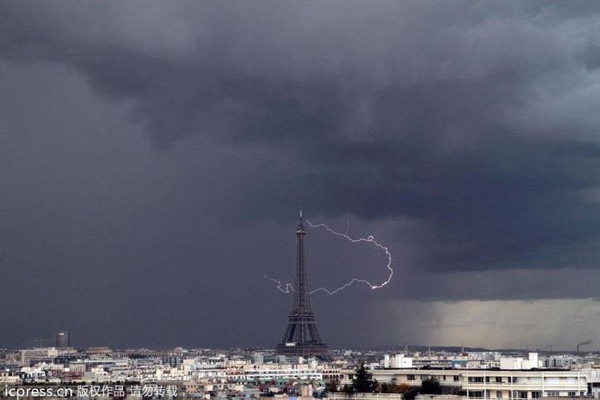 Lightning over the Eiffel Tower. 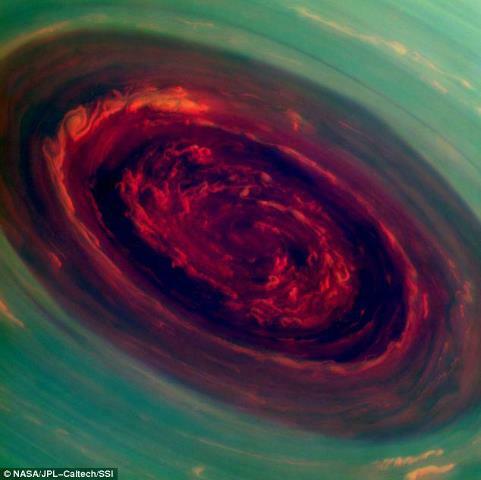 Giant storms on Saturn: Nasa’s Cassini spacecraft captures incredible view of ‘rose’ hurricane 20 times bigger than any on Earth! The reach and number of H7N9 infections in China continued to expand over the past 3 days, with Hunan province reporting its first case and four others reporting six more, lifting the outbreak’s total to 126. The federal receiver who controls medical care in California’s prisons is ordering thousands of high-risk inmates out of two Central Valley prisons in response to hundreds of hospitalizations and dozens of deaths due to valley fever. The state corrections department has been ordered to exclude black, Filipino and other medically risky inmates from the two prisons because they are more susceptible to the airborne fungal infection, which originates in the region’s soil. The receiver’s office says the order will affect about 40 percent of the more than 8,200 inmates in Avenal and Pleasant Valley state prisons. 5.3 Earthquake hits the east central Pacific Ocean. 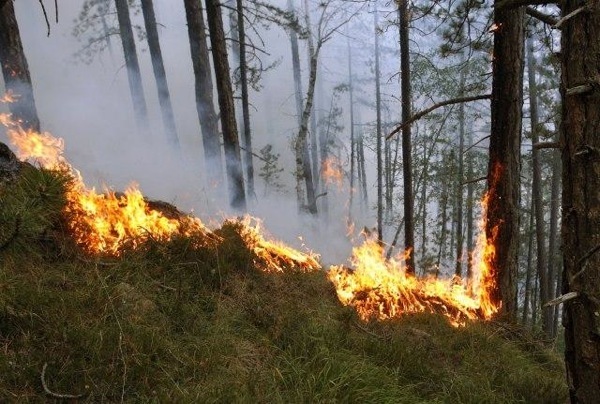 Firefighters are still struggling to put out three fires near the southwestern Serbian town of Priboj. Strong wind is hindering efforts to put out the flames. Etna (Sicily, Italy): The 13th New SE crater paroxysm is occurring this evening. Tall lava fountains rise from the central vent of the cone, and a lava flow has rapidly descended the slope into Valle del Bove. A dense tephra plume is rising several kilometers above the volcano and drifting to the NE where ash- and lapilli fall is occurring. Judging from the webcam images, lava fountains have now started, i.e. the main phase of the paroxysm has begun. A denser plume is rising from the New SE crater. Tremor continues to climb steeply. Tungurahua (Ecuador): After a brief pause of just over a month, new eruptive activity has started in the form of gas and ash emissions, accompanied by many small earthquakes and weak tremor pulses. 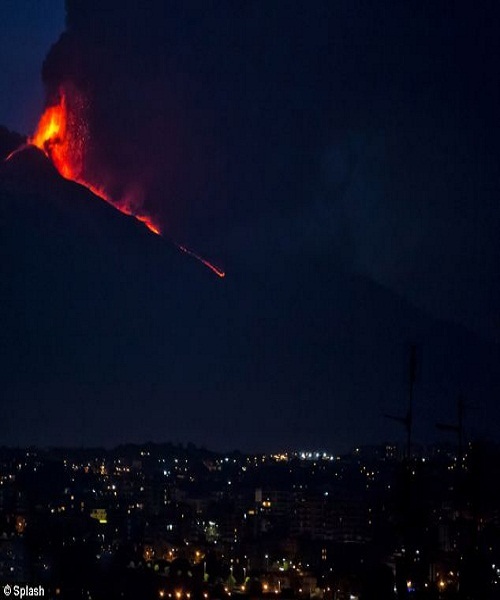 The activity caused light ash fall in areas near the volcano, in particular Juive Grande. IGPEN scientists sampled some of the ash, which is dark in color, which in turn suggests that it is from juvenile (fresh) magma that has started to rise and arrive at the summit and not the result of phreatic activity (pulverizing older rock). A new stronger eruptive phase in the coming days or weeks is therefore likely.